Hi friends, in this article, I am discuss about the working principle of hydroelectric power plant and hope you will appreciate it. A power plant which utilizes the potential energy of water for the generation of electrical energy is known as a hydroelectric power plant. Hydroelectric power plants are generally located in hilly areas where dams can be built easily and large water reservoirs can be made. In a hydro power plant, water head is created by building a dam across a river or lake. From the dam, water is fed to a water turbine. The water turbine changes the kinetic energy of the falling water into mechanical energy at the turbine shaft. In simple words, falling water spins the water turbine. The turbine drives the alternator coupled with it and converts mechanical energy into electrical energy. This is the basic “working principle of hydroelectric power plant”. 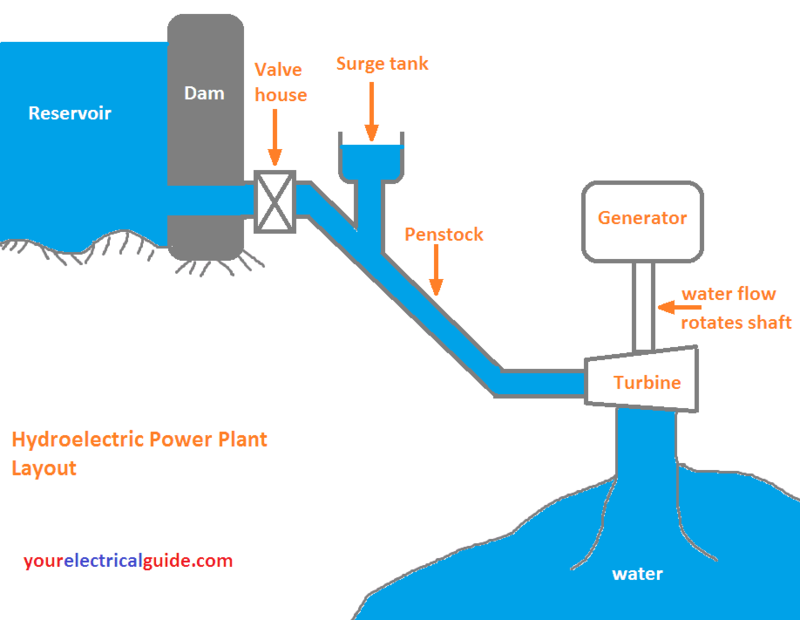 Hydroelectric power plants are very popular because the stores of fuels (i.e., oil and coal) are exhausting day by day. They are also beneficial for irrigation and flood control purposes. Catchment area: The total area behind the dam in which water is collected and stream flow is obtained is known as the catchment area. Reservoir: It is an important part of a power plant, where water is stored and supplied to water turbine continuously. Dam: A dam is a barrier which stores water and creates water head. Slip-way: Due to heavy rainfall in the catchment area, the water level may exceed the storage capacity of the reservoir. It may affect the stability of reservoir. To remove this excess water, a structure is formed around the reservoir. This structure is known as slip-way. Slip-way provides stability to the reservoir and reduces the level of water in the time of the flood. Surge Tank: It is a small tank (open at the top). It is provided to reduce the pressure surges in the conduit. It is located near the beginning of the conduit. Penstocks: Penstocks are open or closed conduits which carry water to the turbines. They are generally made of RCC or steel. The RCC penstocks are suitable for low water heads (< 30 m). The steel penstocks are suitable for any head; as they can be designed according to water head or working pressure. Impulse turbines: Such turbines are used for high water heads. It consists of a wheel fitted with elliptical buckets along its periphery. The whole pressure of water is converted into kinetic energy in a nozzle and the velocity of the jet spins the wheel. For example Pelton wheel turbine. low heads and large quantities of water. Water Turbine Generators: They are low RPM (75 to 300) synchronous generators with main exciters usually mounted at the top on the shaft end. 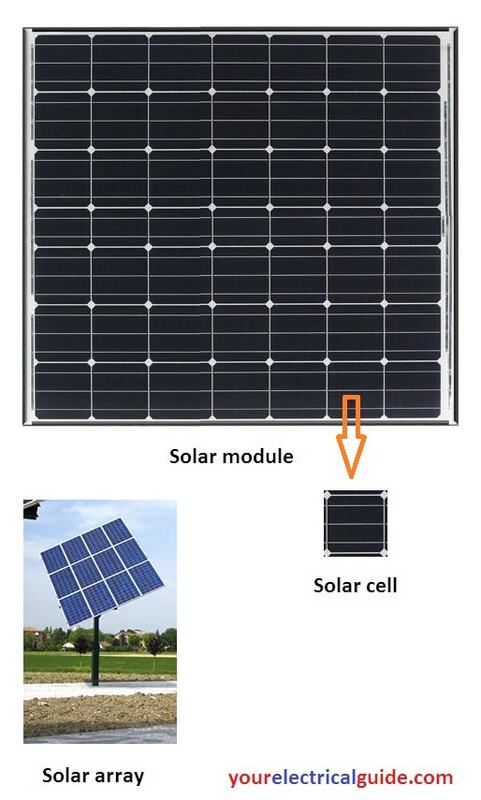 The machines are generally air-cooled with closed circuit cooling. Power House Auxiliaries: The hydroelectric power plant requires the same basic auxiliaries as any other power plant such as the governor system, exciters, cranes, control panels etc. Power supply for the auxiliaries, cranes and lighting is usually arranged from a small independent hydraulic turbine and generator. Life of power plant is more. Also used in flood control and in irrigation. Depends upon availability of water. 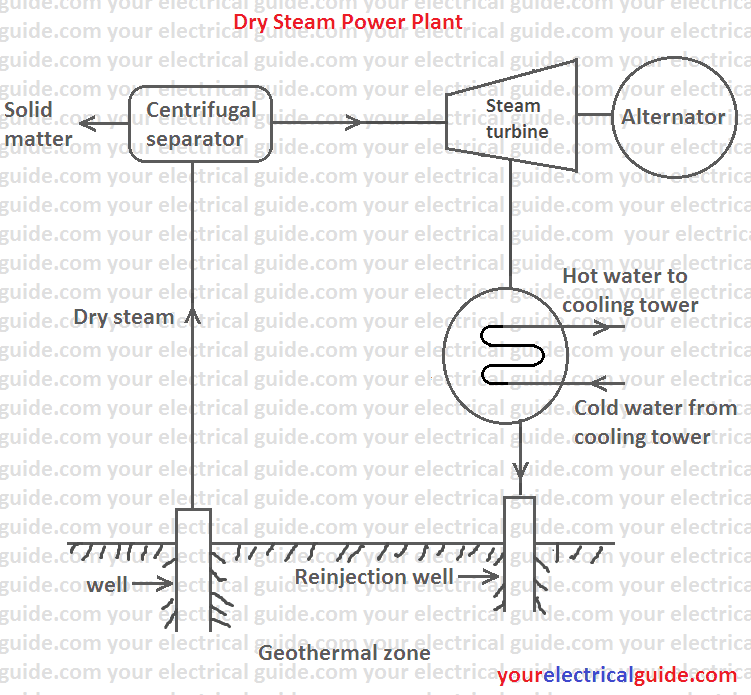 Thanks for reading about working principle of hydroelectric power plant. 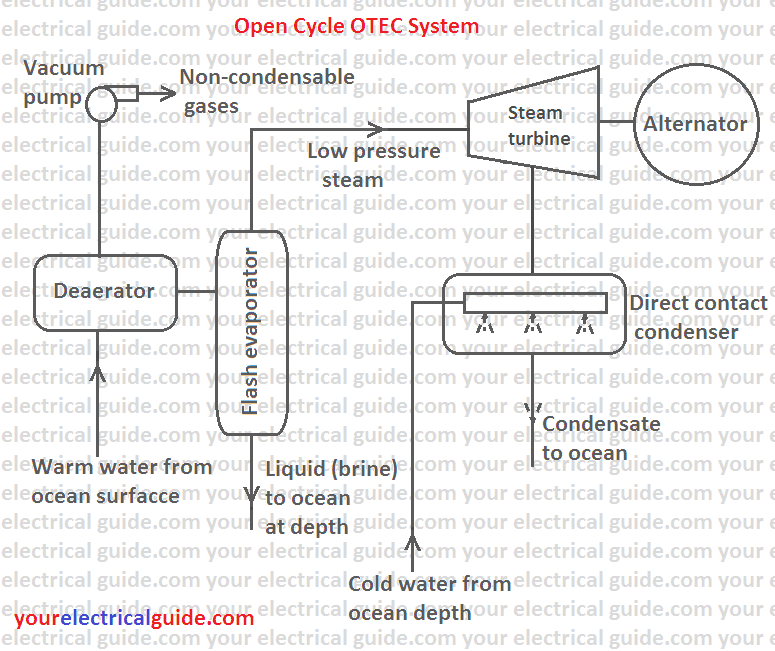 © https://yourelectricalguide.com/ working principle of hydroelectric power plant.